The third meeting of Chicago and Sky Blue was supposed to take place in July, but after being postponed they will play on Tuesday night. On Tuesday the Chicago Red Stars will host Sky Blue FC in a makeup match. The match was set for July 28th, but the match was postponed due to flight complications on Sky Blue’s part. This is the third meeting of these two sides in 2018, the first match was a 1-1 draw, but the second match was a 3-1 Chicago victory. Both teams are missing a fair amount of players due to international break this week. Chicago will be without Alyssa Naeher, Julie Ertz, Casey Short, Morgan Brian, Summer Green, and Christina Murillo. Sky Blue is without Carli Lloyd, Savannah McCaskill, Imani Dorsey, and Katie Johnson. The match will take place on September 4th at 7:30 pm ET at Toyota Park in Bridgeview, Illinois. 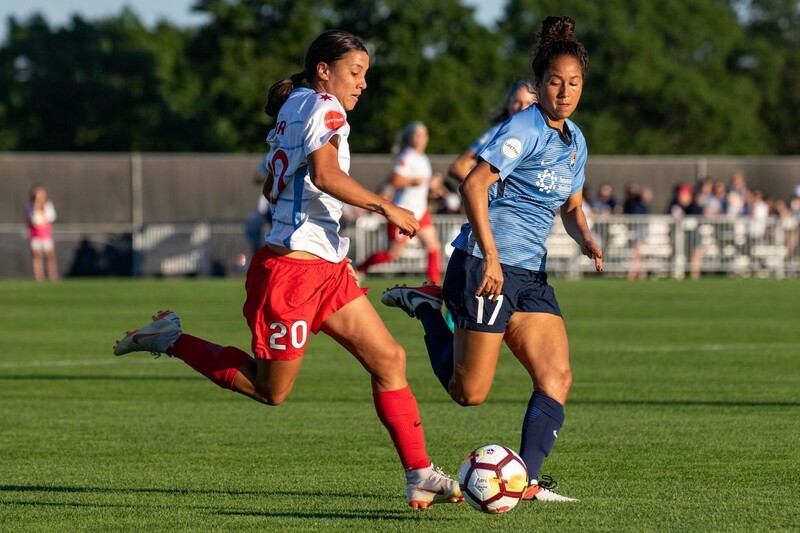 The Red Stars can secure their spot to the playoffs with a win or draw against the winless Sky Blue. A win would keep them in the competition for the third place seed, whereas a draw would secure them the fourth playoff spot. If Chicago should hand Sky Blue their first win of the year Chicago will have to face the Utah Royals FC on Saturday with the winner securing the last spot in the 2018 playoffs. The Red Stars have been picking up pace gearing up for the postseason. In their last six matches, they are unbeaten with three wins and three draws. Chicago's most recent result was a 3-0 win over the Orlando Pride which eliminated the Pride and the Houston Dash from playoff contention. 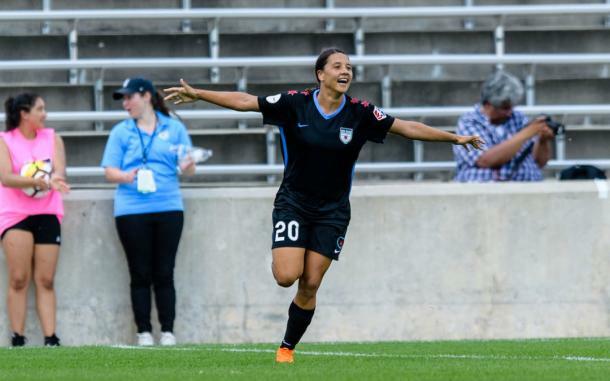 Sam Kerr has scored almost half of the Red Stars goals on the season, with 14, but Kerr has not in the NWSL playoffs since 2013. If Kerr is able to perform under the playoff pressure this could be Chicago’s year to get past the NWSL semi-finals. The Red Stars are no strangers to the playoffs, having been in the postseason 2015, 2016, and 2017. However, Rory Dames’ side has not made it into the NWSL Championship game. It is no doubt that Chicago is a very talented team, but they just haven’t had what it takes to make it to the final game of the season with the chance to be NWSL champions. Still winless with only two games remaining for Sky Blue the season could not have gone much worse. Denise Reddy probably did not imagine going into the last two games of the season with six points in her first season as an NWSL head coach. However the team has not given up even with all that has transpired, the girls continue to fight through every game giving all that they have. This was evident on Sunday morning when they played at 10 am on short notice after the match could not be played Saturday due to lightning, they were down 1-0 in the game until captain Sarah Killion equalized in the 87th minute. The team will play their second match in two days and despite tired bodies will pour everything they have onto the field trying for that first win of the season.